Companion resource: The Techtarget version of our free IT Managers step by step Global MPLS Network procurement Mindmap. Every risk, pitfall and opportunity outlined at a glance. In this article, I share my thoughts on successful WAN sales process surround creating a diagnostic environment. An approach which considers your existing VPN strengths and weaknesses which relate to specific areas within global MPLS network procurement is a good foundation for WAN procurement execution. However, I also consider expectation setting to be the next area of value led sales, particularly when buying Ethernet telecoms services such as a secure and private global MPLS network capability. One of the main consistent feedback points we received during our own WAN procurement research told us that IT teams are better placed to work around problems and issues if expectations are set up front. When expectations are known, contingency plans are built and senior members of the business at least know the potential impact and are able to react accordingly – perhaps delaying a project and so forth. With this in mind, I thought I’d write content on some particular areas which relate to global MPLS procurement – at layer 3 and layer 2. There are indeed some specific challenges which relate to the global arena vs their national counterparts. In this article, we’ll discuss some of the main areas to consider. MPLS and VPLS services offer fantastic scalable and fractional bandwidth with 100Mbps Ethernet as the standard with a high prevalence of 1Gbps Ethernet circuits. There are multiple areas to consider when writing about global MPLS network procurement, if we were to write about every single area in one article, you would end up with an ebook. Statistics, reporting, change process, routing, strategy and so forth all deserve an article of their own. With this in mind, I will continue to write more content moving forward. We talk about transparency a fair amount within our day jobs. In any complex services arena, potential customers need to be sure the service providers they are working with are providing the necessary data and information outside of marketing collateral. In order to be sure this is the case, we recommend the creation of an RFI (Request for Information) which asks relevant questions to force the required detail on capability. IT Managers will no doubt be aware that a fair amount of marketing exists within the market place. Where service providers are professing to offer a high percentage of global coverage, the detail behind the marketing deserves careful consideration and thought. The capability of reach is governed by the scale of PE (Provider Edge) coverage. The PE represents the entry into an MPLS network, i.e. 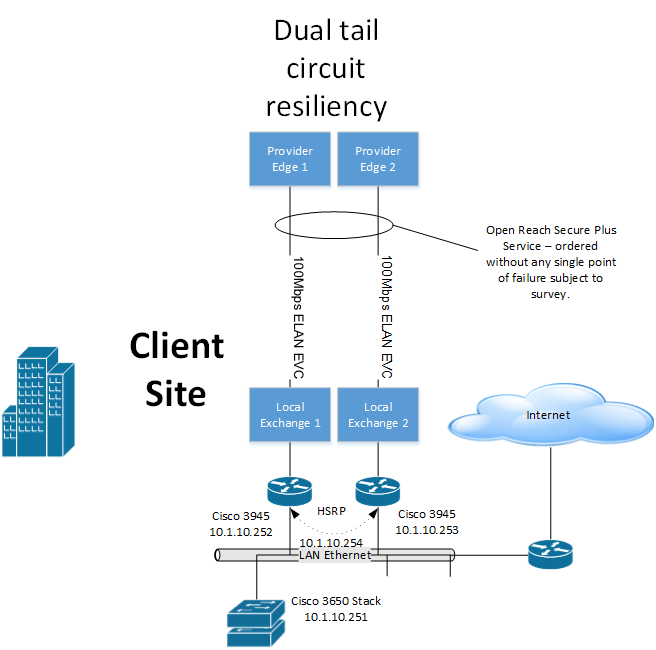 connectivity prior to the MPLS Provider Edge will be based on tail circuit local loop circuits. Application latency will normally be predicted by service providers as an average across their core network. When considering global networks, the performance of delay sensitive traffic such as voice and video may be within latency parameters (SLA) at first glance but the addition of local loop delay may render the application unusable. When armed with the data regarding global MPLS network PE coverage, it is possible to approximate the distance from the PE to your office which will allow your team to estimate latency delay. Readers should note that a local loop circuit does not travel in straight lines and therefore any estimate of tail circuit length is just that, an estimate. In our work we often ask the provider to demonstrate live ping data from their PE to existing clients CE (Customer Edge) devices. The live data will also help to predict performance. Leading on from our discussion on PE to CE latency, adding an Ethernet failover circuit will mean using a secondary PE device within the providers network. A second PE device will require a diverse secondary tail circuit which may extend the VPNs local loop length vs the primary tail circuit. The failover circuit additional tail length must also be considered to calculate the impact to applications if the primary fails. We have witnessed designs which implement a second tail circuit using an alternative wholesale provider. Whilst at first glance this may appear to be a sensible option, neither provider will understand the tail circuit routing of each others local loop connectivity. The outcome will normally mean points of commonality through the VPNs network creating single points of failure. Organisations with a requirement to avoid any single points of failure should order a single provider product which is designed to route dual tail circuits with no points of commonality subject to survey. There is an ongoing initiative to gain clarity on Enterprise global MPLS network & VPLS architecture vs business strategy, technical, cost and budget. The VPN carriers and the service provider market via carriers and providers is feature rich which sounds, as you will no doubt agree, positive. However, IT Management are faced with aligning their business specifics with the capability of prospective service providers which requires transparency with regards to true ability. Over the years I have collated data from experiences working with and for large Enterprise organisations allowing me to understand the key areas which require focus to achieve the best possible procurement outcome. The problems are varied but in the main reflect an un-balanced approach to WAN procurement. When working with customers, their focus was often too far aligned with the technical elements vs business needs or IT teams were highly motivated by reducing costs. There isn’t a right or wrong as some projects are successful depending on criteria but an approach which creates a balanced framework to bring the business, technical and budget together provides the best possible outcome. There is also the danger of a service provider sales process which only consists of features and benefits rather than a diagnostic approach to your problems, issues and projects. The overall challenges remain the same but today’s technology advancements are adding a further reliance on WAN connectivity. The cloud, collaboration, remote users and so forth only operate efficiently when connectivity is an enabler and not a bottleneck to performance. With this last statement in mind, support, agility, performance, resiliency, adds / changes, application QoS, migration, service management and stats (to name just a few!) must be capable of meeting your unique business needs. Global organisations are faced with some specific challenges surrounding VPN migration and support. When considering migration, the regulations which exist within each region may impact the delivery of services. In addition, time zones, local language, access restrictions, bandwidth availability and local IT capability all conspire against an organisation to ensure global WAN provision remains a challenge. With this said, your organisation is not the first to go through the process. The Mindmap we have created also contains notes on expectation setting which allows your IT team to communicate back into the organisation concerning potential risks and pitfalls. As an example, the migration section will detail the areas which require highlighting in order to set expectations. We mentioned expectation setting as (perhaps) the new era of the carrier / telco / provider sales process. When setting expectations, it is possible to gain an insight into the areas where particular focus is required. An an example, the ordering of dual Ethernet tail circuits is normally viewed as a single order from a carrier perspective. This ultimately means that the failover circuit is not delivered / handed over until the primary is delivered. Not good if you are working to timescales. With this said, it is often possible to separate out the circuits ensuring the primary is delivered outside of any reliance on the failover circuit. This is really just an example of expectation setting, if you are armed with this information up front, the business is able to make decisions accordingly. The service provider arena is awash with acronyms and buzz, the cloud being one example. The past has often focussed on one particular product as ‘the standard’ all Enterprise organisations should adopt. However, today’s designs and business requirements dictate that a hybrid approach to WAN design is widely adopted. The use of MPLS, VPLS, VLL, IPSec and so on is more prevalent than ever as users expect to securely connect whenever and wherever they are located. As an example, the new Cisco iWAN capability provides a single device to terminate multiple connectivity types reducing complexity and cost. MPLS, VPLS & VLL offer a standards based private WAN infrastructure which meets high security standards required within Enterprise organisations today. These products offer some great business benefits, a hybrid approach ensures your business is able to deliver real value based on firm requirements. We have mentioned technologies such as MPLS, VPLS and VLL within this article, let’s explain some use cases. In short, IT management refer to a layer 3 Virtual Private Routed Network as MPLS. Rightly or wrongly, the term MPLS is used to describe a private routed VPN. The correct term is therefore VPRn but, for the sake of continuity, we will continue to refer to VPRn as MPLS. In today’s market place, MPLS offers a private based routed network either managed or unmanaged with a productised set of supportable features including QoS (Quality of Service) configured across a core / customers routers. MPLS remains the standard for all organisations looking to outsource connectivity for the majority of requirements. Available on an international basis with or without managed routers and devices. VPLS is not a separate service to MPLS. In fact, VPLS is an evolution of the MPLS protocol. The service provides much the same any to any connectivity with QoS (Quality of Service) support when compared to MPLS VPRn networks – the difference is that VPLS offers layer 2 access, stripping off layer 3. As an example, when considering data centres on a global basis, VPLS offers the ability to extend the LAN across geographical locations. Extending the LAN will enable resources to be added as required, irrespective of location. 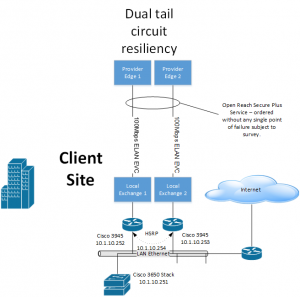 If readers imagine a scenario where further servers are required because a datacenter has reached capacity, an alternative site may be used and added to the same LAN. Clustering and resiliency is maintained across the layer 2 topology. VLLs are a further evolution of the MPLS protocol providing point to point and multipoint Ethernet connectivity over distance. Often referred to as pseudo wire services, a VLL circuit offers greater reach vs dedicated fibre which is subject to distance limitations. However, whilst latency and security are clearly very good, the service is not comparable to dedicated fibre which is a per customer (not shared) wire speed latency product. The majority of MPLS, VPLS and VLL services are based around 100Mbps Ethernet and 1Gbps Ethernet services. We alluded to tail circuit length creating additional latency earlier within this article. When documenting your existing VPN applications and their usage profile with future project and strategy, an indication of real world performance should be profiled. The majority of international providers and carriers will offer global MPLS network capability directly connected to their backbone within major cities and regions. However, the prevalence of mobility with cloud means a fair amount of traffic could / will originate from various locations across the world. The impact of regional connectivity is that certain content may need to be restricted to avoid user dissatisfaction. Applications are becoming more connectivity aware and will not operate unless optimal conditions exist. In either scenario, aligning user applications, there profile and potential access points will allow your business to understand implications. Overall, the procurement of global networks, multi protocol label switching or otherwise, is perhaps more challenging vs national provisioning for the reasons we have outlined. As we move forward with VPN content, we’ll update the section at the end of this post with further recommended reading. Our intent is to write more about MPLS networks and connect their migration challenges together with video tutorial content.